Even with todays technology, it’s impossible to completely prevent a potential terror attack. However, that is not to say that your local government cannot prepare for these situations when they do take place. Many cities are now looking into implementing local government PSIM solutions to improve on their current security systems, which goes beyond simple video surveillance. 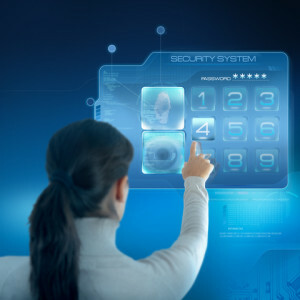 Physical Security Information Management, known as PSIM, is a software solution that combines multiple security, communication, detection, and alerting systems into a single command and control interface. The surveillance system for most cities is broken up into sub systems. The city has a video surveillance system, DOT transit has their own video surveillance system, and private enterprises provide yet another group of video surveillance. Because of these multiple systems, the odds of a terror attack being caught on surveillance video is high. However, the odds of the operator having immediate access to the video is not. What PSIM does, is combines the video from all of these surveillance cameras and allows it to be viewed on a single map-based display. This can dramatically increase the effectiveness and reach of a city’s video surveillance capabilities. PSIM offers benefits far beyond simply having access to video. With PSIM, we can take advantage of correlating information from other systems such as license plate recognition, gunshot recognition, communication systems, access control, geographic information systems, mass notification, radiological sensors, and so on. Various agencies have the ability to use PSIM to help automate response plans for any given situation. Once the operators are alerted to an emergency situation, they can instantly see exactly what is happening, where it’s happening, and how exactly they should respond to the situation. This information can then be immediately shared with the appropriate agencies and individuals. Whatever your needs are, OSSI-USA has you covered. From schools to airports, we have the right solution for your security needs. Give OSSI a call today at (888)488-2623 or (262) 522-1870 for an Integrator near you.